This carefully selected blend of wildflower seeds will provide a backyard window to the natural beauty and color of our native pastures and meadows. These hardy plants require low maintenance with adaptability to a wide range of temperatures and soil types. Combine this versatility with brilliant hues of white, red, yellow, purple and blue for the perfect expression of your landscaping creativity. Enjoy the simple beauty of wildflowers – not only do they enhance our environment, they are part of our heritage. 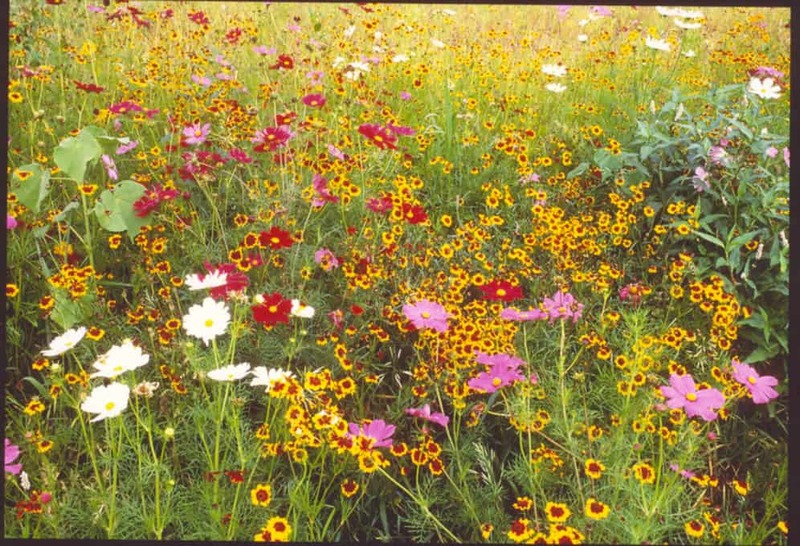 The wildflower mix contains Black-Eyed Susan, Indian blanket, Red Mexican Hat, Cornflower, Dames Rocket, Blue Flax, Lanceleaf Coreopsis, Rocket Larkspur, Purple Coneflower, Plains Coreopsis, Shasta Daisy, Clasping Coneflower, Corn Poppy, Purple Prairie Clover, Showy Primrose, etc.